Maldives is located in between the trade routes of the Indian Ocean. The island has the history of visitors from different parts of the world settling in the place. The conglomeration of the cultures from different nationalities has effect on the art, belief, language and attitude. It is one of the premier beaches in the Tropics. It is a favorite destination for people across the globe. If you want to unwind and relax then this is the best place. Away from the chaotic and hectic life, here you can absorb in nature and its beauty at its best. Unwinding in this environment is an ultimate bliss. Well, this does not mean that you have to shell out a fortune to this dream destination. Even within a strict budget, you can enjoy the beauty of the place. 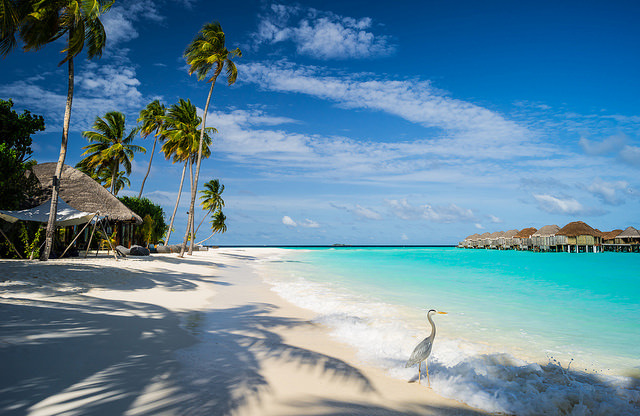 Starting with the travelling to Maldives, you can opt for the cheap tickets or the low-cost airlines. Flying to Maldives from the major hubs located different corners of the world is easy. You can get both cheap and direct flights from different parts of the world. A thorough research is important to identify a good and cheap flight to the island. If you are on a budget then, the best place to stay is at Male. Male is the dream destination for many travelers across the world. In Maldives, majority of the resorts have their individual islands. These accommodations assure that you can choose from an assortment of bars, restaurants and entertainment. These facilities are costly in nature. In Male, you can accommodations even at a low price there are guest houses owned by the locales and offer an affordable stay to the travelers. Whether you are travelling in a group or a solo traveler, you can stay in the dorms or the private rooms. The rooms are comfortable and have air conditioning. You will be awarded basic amenities in these facilities. You can dig into the authentic local cuisines at the accommodations provided by the local inhabitants. These guesthouses provide meals to the boarders at an affordable rate. The local restaurants are inexpensive. Maldivian cuisines include milk tea thick and sweet, tuna and flat bread. Fish, buttered rice and mouthwatering curries are the integral part of dinners and lunches. You can have your food from the local stands at an inexpensive rate. Well, consumption of alcohol is prohibited in the country. The best way to explore the country is through excursion. You can opt for a fishing experience in the boats of the fishermen, or you can even to the neighboring islands in these boats. For tour packages, you can also opt for those catered by the local guesthouses as those will not create a big hole in your pocket. These trips will cost you list. In the last few years, there has been a surge in the options for budget tourism. There has been a shift in the profile of the travelers to the country. This exclusive island now has opportunities for the budget travelers.